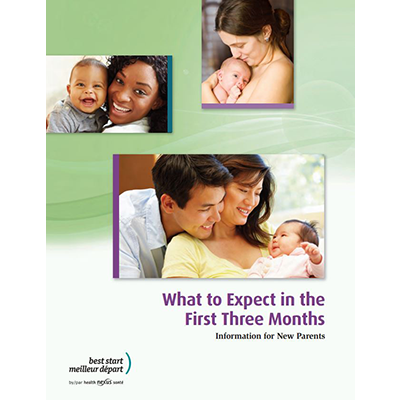 This handout will provide new parents with some important information on what to expect in the first three months after their baby is born. The websites and resources in this handout are intended to guide them and their family on what to expect in the first three months of baby’s life at home. New parents will find answers to questions they may have regarding healthy newborn care and care of the mother and of the family.